Everybodys Favourite Modern Assassin Comes To PC! Square Enix today announces the launch of the HITMAN®: SNIPER CHALLENGE™ PC version. An exclusive standalone pre-order sniper experience available to play from the moment customers pre-order their copy of HITMAN®: ABSOLUTION™. For the past few months, players all over the world have been competing for the top leaderboard spots, to see who the ultimate sniper assassin is on PlayStation®3 and Xbox 360®. Now it’s time for all PC marksmen to scope, score and come back for more. Square Enix plans to showcase the PC version of Hitman: Absolution for the first time at Gamescom 2012 in Cologne Germany. Square Enix Ltd., the publisher of SQUARE ENIX® interactive entertainment products in Europe and other PAL territories, today announced the grand prize for the HITMAN: SNIPER CHALLENGE™ competition in the UK. The person crowned The UK’s Ultimate Assassin will be immortalised in a future Hitman game and also presented with a Golden Joystick® at Future Publishing’s annual Golden Joystick Awards on 26th October 2012. UK’s biggest games retailer to offer special deals throughout the show. Eurogamer Expo, the UK’s biggest and best gaming festival, is pleased to announce that GAME will be the retail sponsor for this year’s show. The Eurogamer Expo will be returning to London’s Earls Court from 27th-30th September 2012 and is expected to welcome over 50,000 gamers. IO Interactive, a Square Enix studio, introduces a new group of characters to Hitman: Absolution. The third video from the ICA files series covers the background of a group of highly skilled assassins called: The Saints. The ICA (International Contract Agency) files are a series of videos that provide in-depth background information on the main cast in HITMAN: ABSOLUTION and features exclusive art from comic artist Ben Oliver. 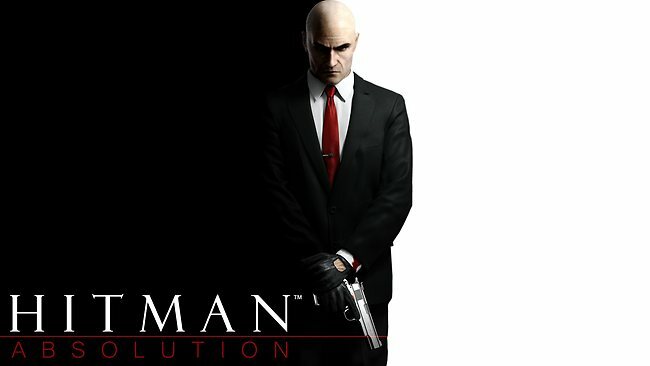 Hitman: Absolution Deluxe Professional Edition Announced! IO Interactive, a Square Enix studio, today announces HITMAN®: SNIPER CHALLENGE™, an exclusive standalone pre-order sniper experience, available to play from the moment* customers pre-order their copy of HITMAN®: ABSOLUTION™. The HITMAN: SNIPER CHALLENGE pre-order promotion will be available starting May 15. HITMAN: SNIPER CHALLENGE is not a part of the main game, but has been created as a bespoke standalone experience to reward fans who pre-order HITMAN: ABSOLUTION.